This is a self-help book as well as an autobiographical opus about how one man who was born with all of the temporal and spiritual advantages of a middle-class upbringing in suburban Québec-City in Canada, nevertheless went off track. It recounts how mental-health issues were the crucial determining factor in touching off a twenty year struggle with addictions, culminating with a ‘bottoming out’, so to speak, at age 35, a subsequent entry into the 12 Step Program, and a re-birth in mind, body and spirit through psycho-pharmacology and a re-awakening of the Spirit of God through the practice once again of the Roman Catholic faith, something which I had let slide for several years as I went from pillar to post on my journey. I hope these words inspire at least a few people to come drink at the true source of spirituality and to better understand the complexities of life lived in the Canada of the 1960s and 70s in Québec, when language, culture, religion and identity were all inextricably intertwined in a vortex whose proportions and outcome have yet to be truly resolved to the satisfaction of all. PURCHASE Personalized AUTOGRAPHED Copy Directly from me! The intent behind this book is to provide grist for the mill for research students and other interested readers. 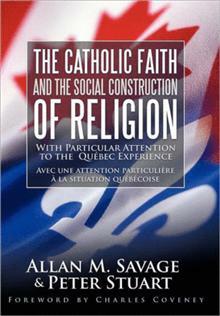 Chapter one, by author Allan Savage, presents an understanding of the social construction of religious activity, which maintains that social construction of religion arises from a dialectical engagement within the world from a phenomenological philosophical point of view. 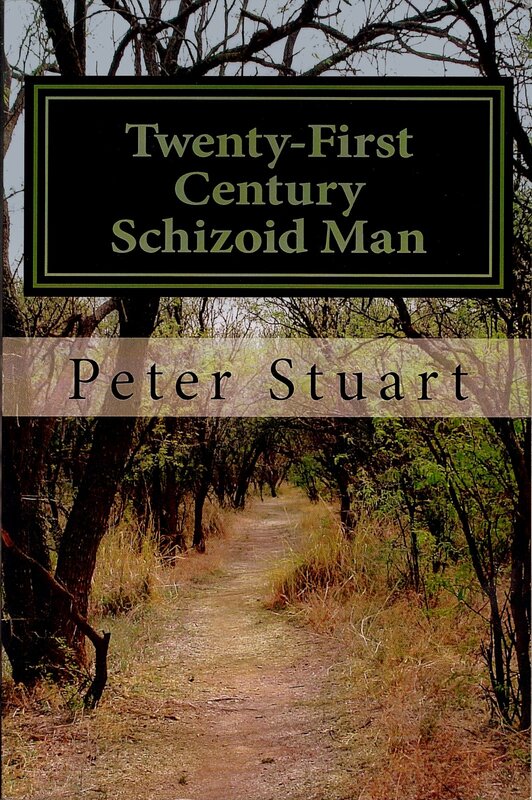 Co-author Peter Stuart presents a classical and traditional point of view, and readers expecting academic accord between the authors will be disappointed. A further rationale for writing this book is that both Savage and Stuart desire to express their personal convictions in the public forum. Both have interests in the ebb and flow of civilization, especially as it pertains to the place of faith, religion, politics, and a variety of social phenomena, including economics, culture, gender, ethnicity, and the family, as well as the ebb and flow of money, power, property, and prestige, as articulated throughout history. They believe that writing about the place of faith and religion in French Canada is crucial if one is to understand the place that this ‘keystone’ civilization occupies within confederation and its enduring ambivalence regarding its belonging, or not, to Canada.